﻿ Your hotel reservation PMS Inbox is Piling Up? Your Inbox is the second most important screen in your Front Desk, aside from your reservations calendar. Here you have all the notifications regarding new reservations, late arrivals, overstays, and any channel errors or updates, along with who’s checking in or out today. 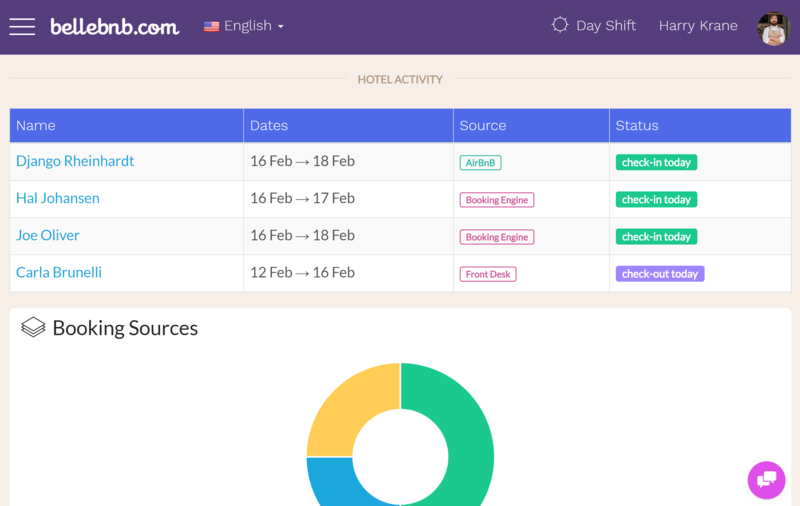 In this post we give you a quick example of how to deal with each type of notification, so you stay on top of all the activity for your hotel. In most cases, a simple click is enough. When you receive a new reservation from any source other than your Front Desk (call in, walk in, etc), you will get a notification in your Inbox that there is a new reservation. To deal with this notification, just click to view the new reservation and the notification will disappear the next time you view your Inbox. Cancellations are not processed automatically for any type of booking, regardless of which sales channel the reservation came through. When you receive a request to cancel, either through your Booking Engine or via the original OTA sales channel, you will receive a 'Request to Cancel' notification in your Inbox. You must review the details of the booking and process the cancellation manually in order to free up the space for this room in all your sales channels. At this point, you may process the payment for any necessary cancellation fee. Once you have processed the cancellation, the room will be made available for the reservation dates in all your sales channels. Whenever a guest stays past their scheduled check-out date, your Inbox will notify you, along with how many days they have stayed past their intended check-out day. You may deal with this notification in two ways, the first is to extend the reservation so that you’re sure to collect for all nights the guest stayed in your hotel. 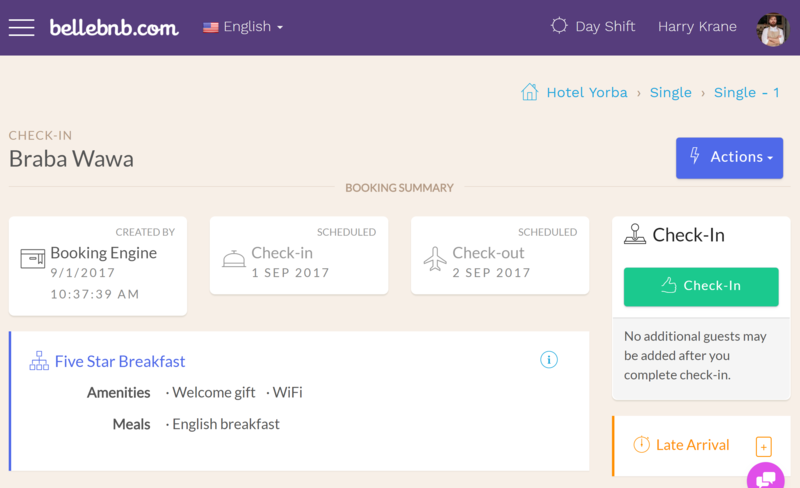 To do this, you can click and drag the right end of the reservation cell in your calendar to extend the booking. 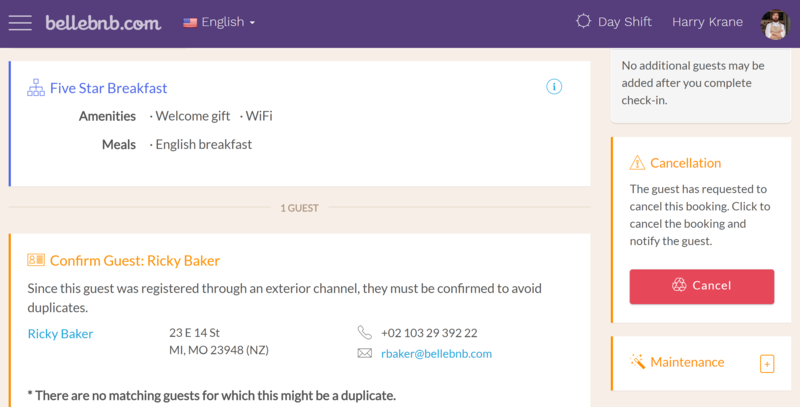 The second reason why this notification may show, especially if there are numerous ‘Overstay’ notifications in your inbox, is you are forgetting to complete check-out when your guests leave your hotel. Click the booking in your Inbox, then click ‘Check Out’ in the right panel of the reservation details. You must complete the check-out process when your guests leave your hotel to ensure you have the right information in your records. This notification is like ‘Overstay,’ but you get this one when a guest has not arrived by their scheduled check-in date. This notification will disappear on its own once the reservation is checked in. If the guest called to reschedule for a later check-in date, you should move and resize the reservation cell in your booking calendar to reflect this change to be sure the room bill is accurate for this reservation. 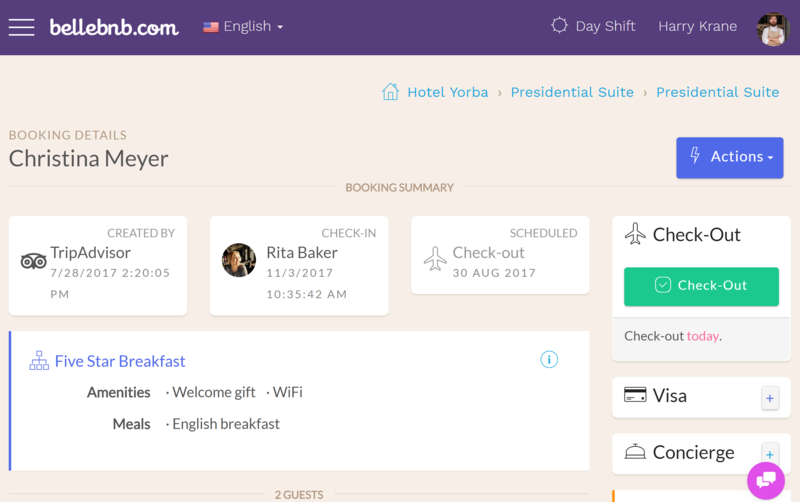 In the case that the guest will not be checking in, if they have cancelled, you should click to view the reservation and cancel it. The notification will disappear on its own after you have cancelled the booking. In the case your guest arrived and left on the scheduled dates, the problem is that you have not done the check-in for this reservation. Similar to the case for ‘Overstay’ you must do check-in and check-out for each reservation when your guests actually arrive and leave. We have an entire blog post on How to Deal with Channel Errors. You receive a channel update notification when a reservation that came in through an OTA sales channel, like Booking.com, is updated by the guest directly on the channel. In this case, you just need to click to view the reservation. The notification will disappear the next time you view your Inbox. Finally, we have your check-ins/outs for today. These are not notifications, per say, just a convenient list of who’s arriving and who’s leaving today. This information is also available in your reservation calendar, but you have it here if you would like to search for a guest by name in the case that your hotel has lots of rooms. You also get a graph of your booking sources for the reservations included in today’s activity. When you don’t deal with notifications in your inbox, you will get a warning. Like with any other Inbox, you don’t want it to get too full. Fortunately, most notifications are very easy to deal with. Just remember to check in on your Inbox every now and then to see what’s going on.